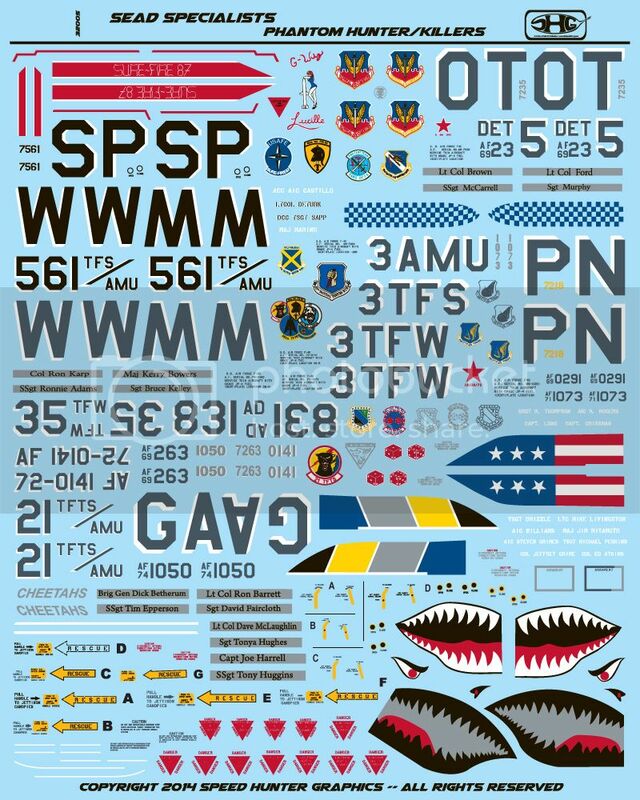 These will be released with the other 3 sheets announced previously and will be available at the IPMS Nationals in August. These schemes will also be available in 1/48, but not before the Nationals. The sheet includes an insert sheet with black markings. Definitely in for one of these! You will be the first one I visit at the Nationals to buy those decals and the Hornet book by Pete. Cool, now the F-4G 7235/0291 Mig Killers...did those Weasel earned the kill credits in Gulf or was they passed on from their previous lives as F-4E...?? Clark AFB markings!!!!!! Hell yeah!!!!!!!!!!!!!!!!! Hi everyone, As Jake mentioned, here is what is on tap from GT Resin as Jake mentioned at the National. I don't know yet if I am going to sell their or just have Tina handle that form home, since I will be going by myself. As Jake mentioned we are introducing a F-4G conversion kit with dimensions taken from MDD drawings. The "G" kit will come with a complete front and rear cockpit, exterior antennas, the distinctive "G" canoe chin pod, Slatted outer wings with correct 12.5 degree dihedral and correct panel lines. 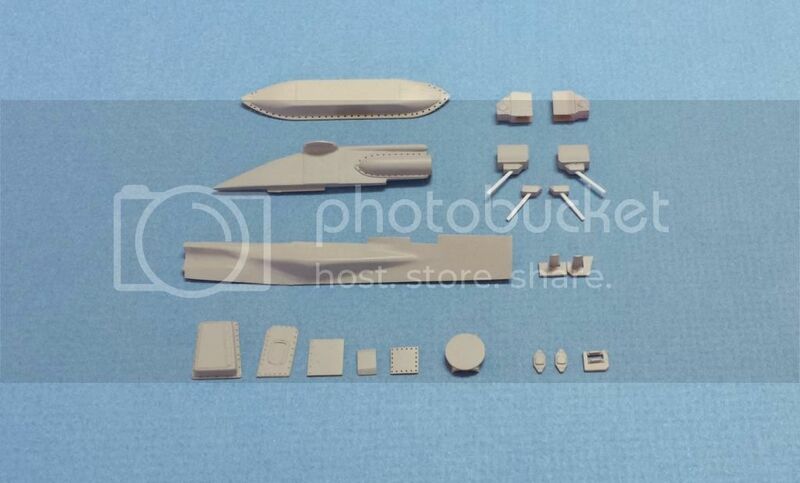 The "E" kit will feature the complete cockpit with ARN-101 panel and antenna, option of two different WSO upper instrument panels and side panels, and the same slatted wings as the "G" set. Really excited about these developments Gary! The Tamiya F-4 is a fine kit with lots of AM growth potential. And Harold's working on AGM-45's & -78's, perfect for a 1980s Clark or George G.
Right on Jake. Will be coming just in time for our Tamiya F-4G conversion, along with QF-4 set. I know you have some good QF-4 refs waiting to become the next or near future F-4 prints Good to see some Clark Phantoms coverage, especially since that was my first base and Airframes I worked when I went in the AF. Any chance of those pesky antennae on the sides of the nose and fin/vert stab sides? The other item - think somebody covered them a while ago but they disappeared - are the outboard wing weapons pylons, which were angled out wards a tad. Used by F-4Gs carrying wall-to-wall AGM-88 load-outs. Harv, I think Jake's covered a DS G with his 35th TFW flagship, 69-263. They kept the TAC insignia on the fin/vert stab, but lost the intake trunk insignia. There never was any 35th TFW(P) insignia applied to Spang and George jets while on combat ops from Sheikh Isa. Looks great guys. I'm I correct in assuming with the exception of the 2 Euro 1 paint scheme F-4Gs, all the rest will be the two tone Hill Grey schemes? Thanks. Well this is just a ton of good news here, I had no idea SH and GT were doing these sets, let alone a new set of decals for the bunch. Following with anticipation! In regards to the "pesky antennae on the sides of the nose and fin/vert stab sides", referring to F-4G set, yes? If so, then yes the APR-38 Low band antennas will be included; just as in our Revell F-4G conversion. Yes, I recall the outboard WWP's. We are considering it since we're doing LAU-118s for the HARMS.